Its where they make the money to keep making the game. So got to keep the masses happy. My thoughts exactly though mate. Why's david beckam even there, answer - bumclub. At least he was an actual footballer and its not usain bolt again. 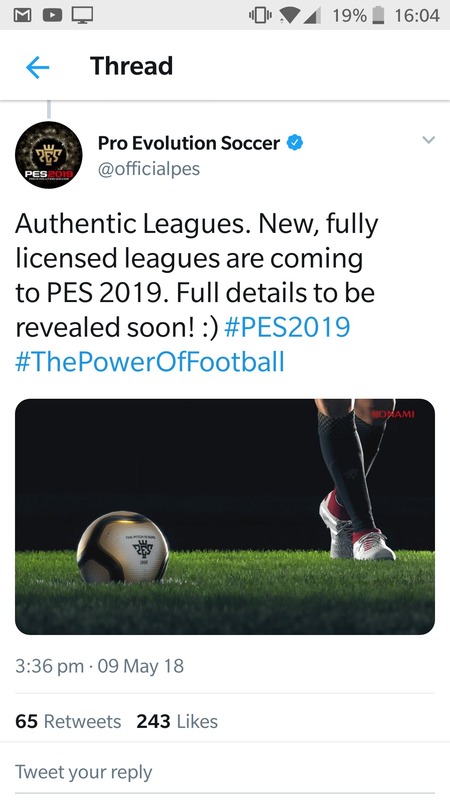 Very poor lads if the license are as bad as this showing it will all rest on the gameplay for me. 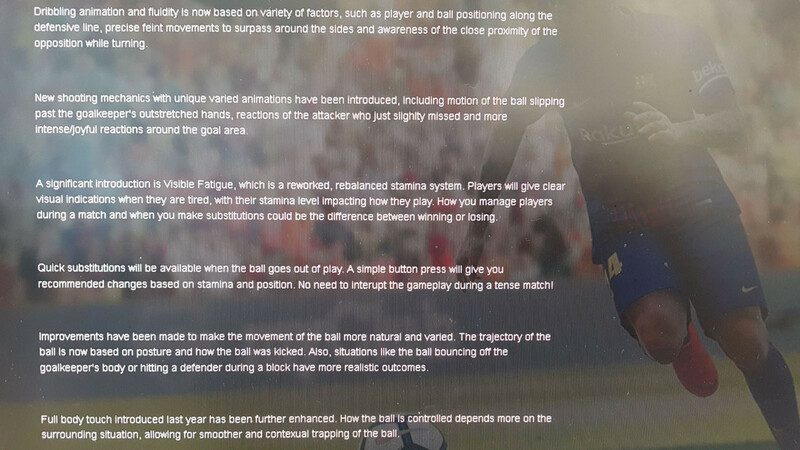 Introduction of 11 new skill traits that will help enhance player uniqueness, including cross over turn, no-look pass, controlled chip, dipping shot, and rising shot. These new skills increase the total in-game number to 39. Fix the AI a little and sort change player, job done. Game preordered on PS4, Beck's Edition. I hope they improved co-op, online experience and with this cards removed form arrows, one of the most stupidest thing, you got your favorite player and with E form he is unusable.